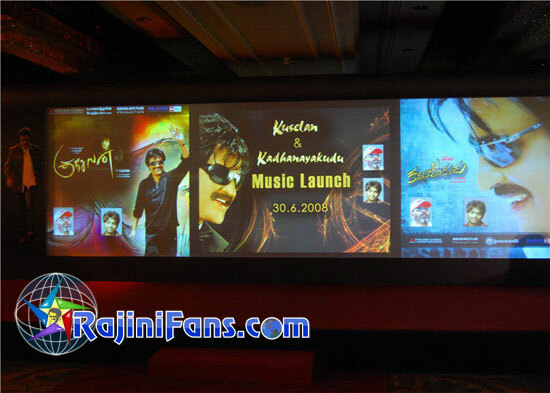 The last evening of June 30, 2008 marked the coming together of the who’s who of industry for Rajinikanth’s next venture Kuselan’s audio launch at Le Meridian. The conference hall at Le Meridian with a capacity of 400 was brimming with crowd that constitutes of VIPs and fans amounting to 1500. The two hour long affair consisted of emotional speeches, generous distribution of health tips, and the much awaited audio launch. Latha Rajinikanth, Dhanush, Aishwarya, Vadivelu, Abirami Ramanathan, and Sivaji films Ramkumar took part in the event among others. Since Kuselan narrates the tale of two friends, the audio launch started off with the chief invitees giving away audio CDs to their close friends after the official launch in which K Balachander presented the first copy of audio to A R Rahman. While superstar presented a copy of the audio to his friend Murali, Director P Vasu called upon his friend Leo Christopher to the stage for the same purpose. G.V Prakash gifted a copy to his friend Vijay and Jegabathy Babu to Arjun. Bharathiraja turned into an emotional state and broke into tears when Balachander invited him to the stage to receive his friend-copy. Addressing the gathering moments later Bharathiraja mentioned that human emotions could rarely be controlled, in an attempt to justify his tears. He stated that he considered Balachander’s gift to be more honorable than Padma Shri. “I had watched his Neerkumizhi many times before stepping into the industry and wondered if I could ever reach that level,” he stated further adding that he felt privileged being called his friend. Rajinikanth revealed his secret of staying young in his speech. Rajini stated: “I have had people tell me that I look younger in Kuselan than in Sivaji. My secret is to avoid what I call white food namely salt, sugar, rice, pills, milk, curd, and ghee. One can eat anything before 40 but to avoid white food it is the secret to stay young after 40.” He also stated that positive thoughts serve as lubricants for the functioning of the human body. 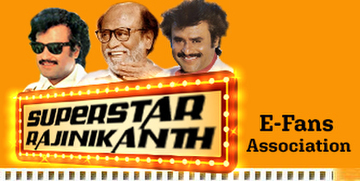 Superstar announced about his plans of contributing Rs. 15 lakhs from his remuneration for the welfare of technicians who were employed in Kuselan. It was also mentioned that producers Kavithalaya, Seven Arts, and Vaijayanthi banners would make their contribution for the initiative. 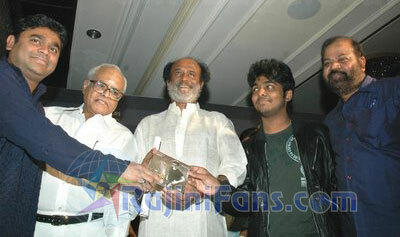 Further in his address, Rajini mentioned that G.V. Prakash is the right mix of Ilayaraja and A R Rahman and that he loved Veyil’s music. “He has immense talent and will undoubtedly succeed,” he added. As an ending note, he noted that KB has the role of Rajinikanth’s parent in the industry while Sivaji Gaekwad’s parents are different. Rahman, in his short speech, recollected that KB’s Kavithalaya was his first producer. He stated that G.V Prakash has his parents’ blessings and he will achieve greater successes. 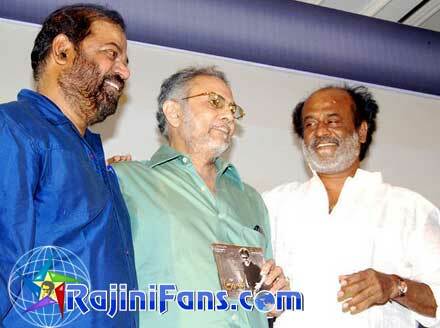 Prakash, in turn, mentioned in his speech that Rahman is his guru and the he is a hard-core Rajini fan.